It was standing room only at the Town Hall last night, as Chippy’s shop and business owners turned up in force to make their views known on the impending closure of the High Street and Horsefair. At the Town Council meeting, three representatives from Oxfordshire County Council were due to explain what would happen during the three week closure of the town’s main through road, setting out the diversion routes and how the work would be done. 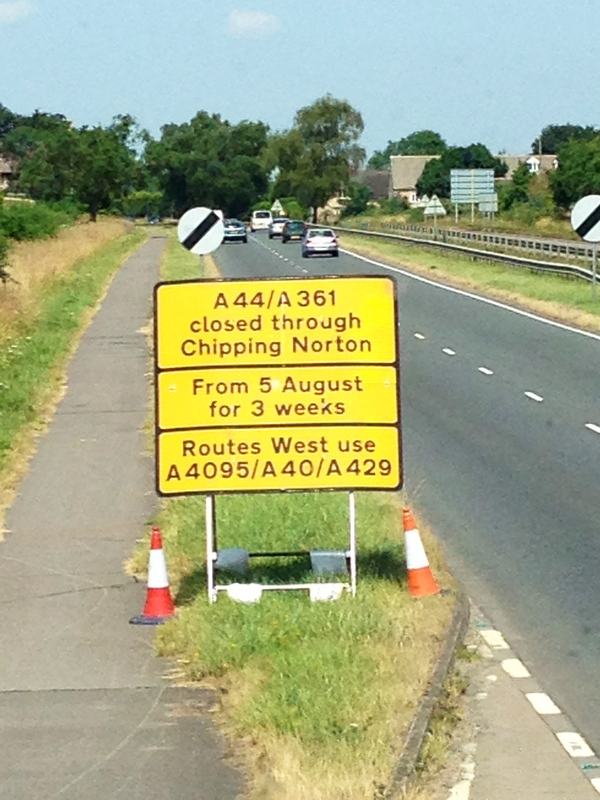 The local business owners, however, made clear their unhappiness about when the work is to be carried out – during August, one of their busiest periods due to an influx of visitors as well as families visiting town whilst children are off school – and why the signs positioned in Banbury and Oxford suggest that Chipping Norton is closed and should be avoided over the period. OCC said that they had consulted with local schools and had notified the town council as to its plans. However, local business owners – including the Blue Boar‘s Sarah Wilkes, also a Chippy town councillor – said that they had not been consulted. OCC quoted research that said summer was the best time to carry out the works, with there being a lesser amount of traffic through the area during August. This was greeted with disbelief by many of the business owners present. Mayor Mike Tysoe had called for the discussion to stick to the details of how the work would be carried out, rather than focusing on the August date – simply because the work needed doing, the dates had already been decided, and the work WOULD be carried out then. However, perhaps inevitably, the public involvement meant that the debate continued to return to the date. It is also inevitable, it appears from the discussions, that there will be disruption to the town during the period when the road is being resurfaced, although OCC has said that it is hoping works might be completed within two weeks, rather than the three weeks being advertised. There will be no through route via High Street and Horsefair, although the Wednesday market will continue to operate. Traffic will be diverted via Albion Street with a two-way system in operation on Cattle Market. OCC has agreed to put up additional signage by the existing diversion signs, stressing that the town centre WILL be open. These have been promised within the next week. Meanwhile, business owners say that the roadworks will kill trade, and have been told that they will not be able to claim compensation for lost footfall. On being told that they might be eligible for a rebate on their business rates, some pointed out that small businesses might not pay this rate in the first place. The Chequers‘ Jim Hopcraft said that he might refuse to pay his business rate, and publicise this fact through the media, as well as by contacting his local MP – David Cameron, of course – in order to highlight the issues surrounding the road closure. Other concerns are focused on being able to get deliveries made as usual, promoting the fact that shops and businesses are open, and ensuring that visitors to town can park. In addition, local residents may get some noise from the work, which is due to be carried out both overnight and at weekends as well as during the day. There was no resolution at the Town Council meeting; more of a resignation about the fact that the works needed to be done, and would be done, at the time stated. 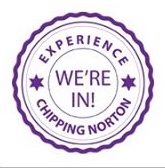 But Chippy business owners hope the message that town remains open gets to as many people as possible, to keep the high street going over the summer. This entry was posted in local people, news. Bookmark the permalink. Thie timing and execution of these roadworks is a joke. The centre of Chipping Norton is like a ghost town. I run a small stationers and printing shop and Mondays are traditionally one of our busiest days. At the time of writing this (10.55) I have seen 2 customers and taken exactly £3. I have just had a look up and down the street and counted at least 5 workmen in their Hi-Vis jackets stood around around doing absolutely nothing.